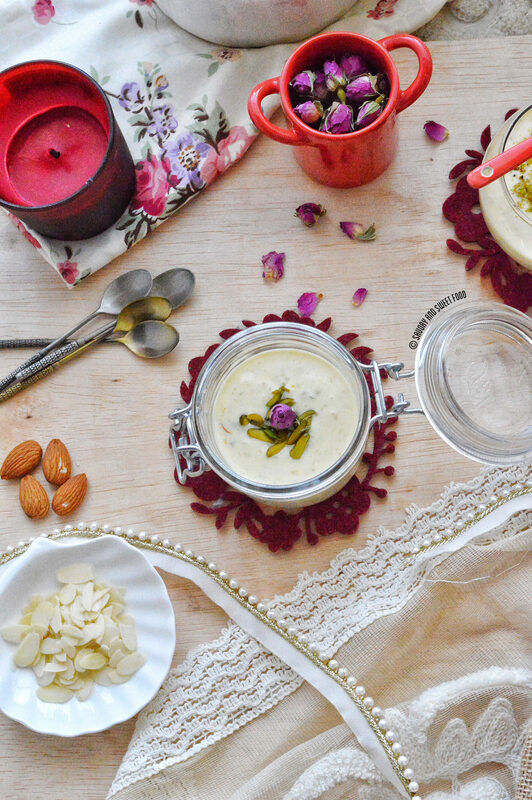 Almond and Rice Kheer is an Indian pudding made with almonds and rice as the base ingredients, cooked in milk and sweetened condensed milk. The addition of saffron gives it a very rich aroma. I have been making this kheer forever. My family loves this pudding. 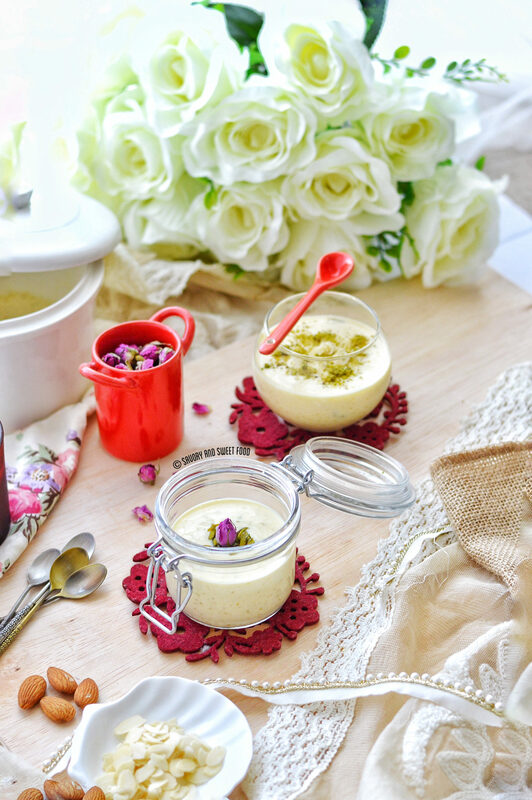 Over the years, I have made kheer with different combinations, depending on what’s on hand. The recipe below is the perfect combination of ingredients, in my opinion. 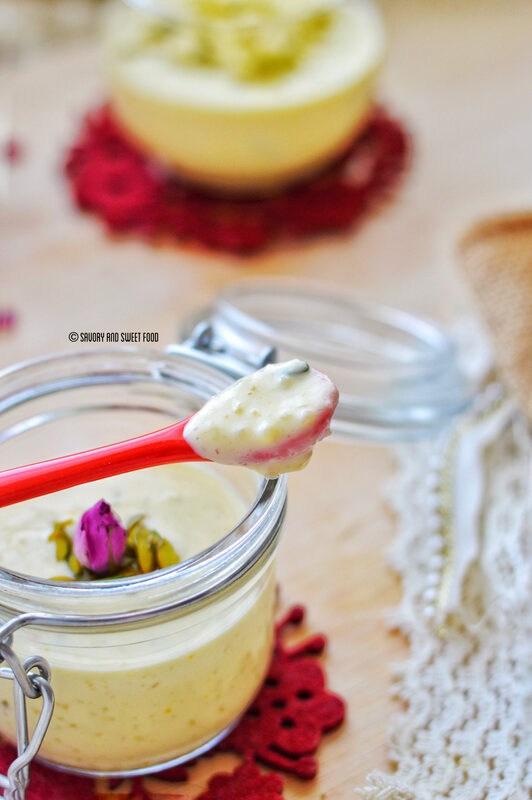 This pudding, owes its particular richness to the inclusion of whole milk, which has been reduced by nearly half during the cooking process to give a thick, creamy base. The rice is cooked in the milk, so the rice will absorb the milk and you will have rich flavoured puffed rice grains in the kheer. 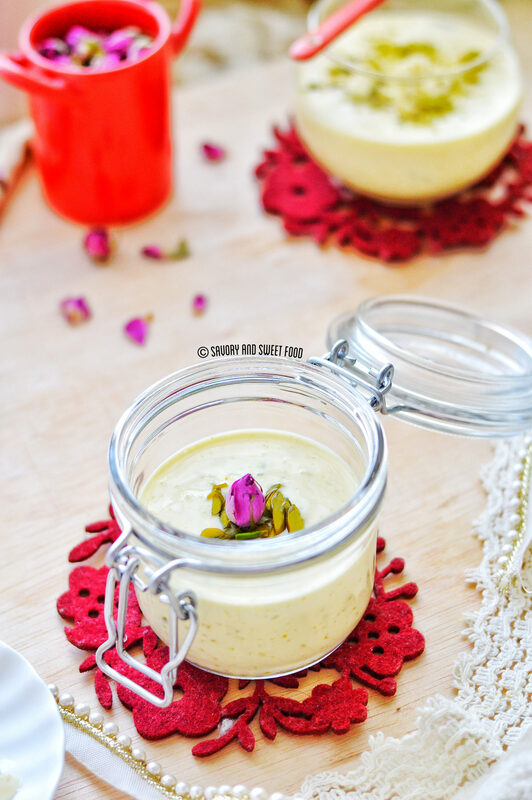 The addition of sweetened condensed milk takes this kheer to a different level. The richness, is just amazing. 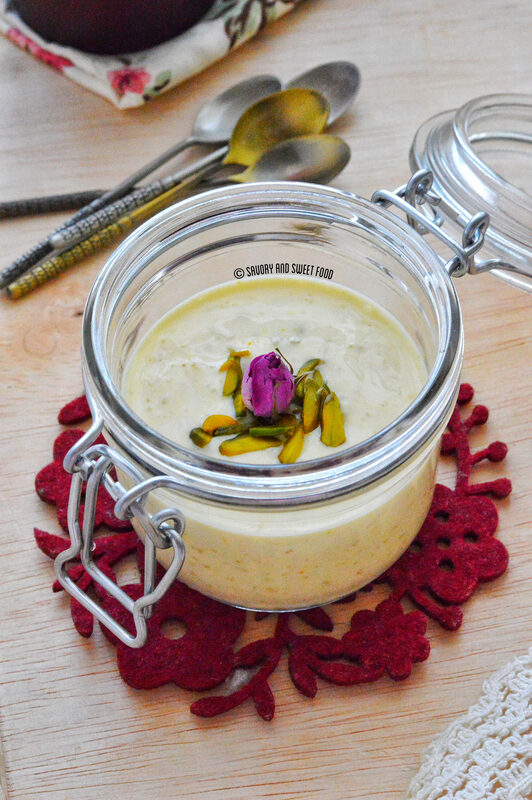 One of my favourite readers, Shinaz Shanib had requested to post a Kheer or payasam recipe and so I thought what better recipe than this can I share. So Shinaz, hope you like this dear. Here goes the recipe. 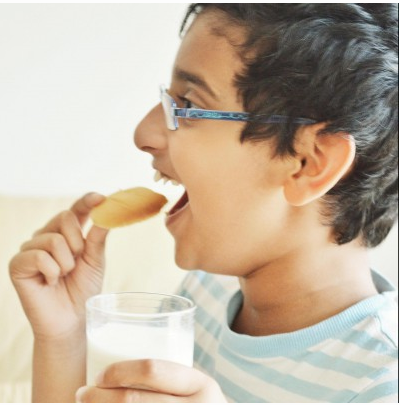 Check for the sweetness of the kheer and add sugar if it is not sweet enough for you. Soak rice in water for 1/2 an hour. Grind coarsely. 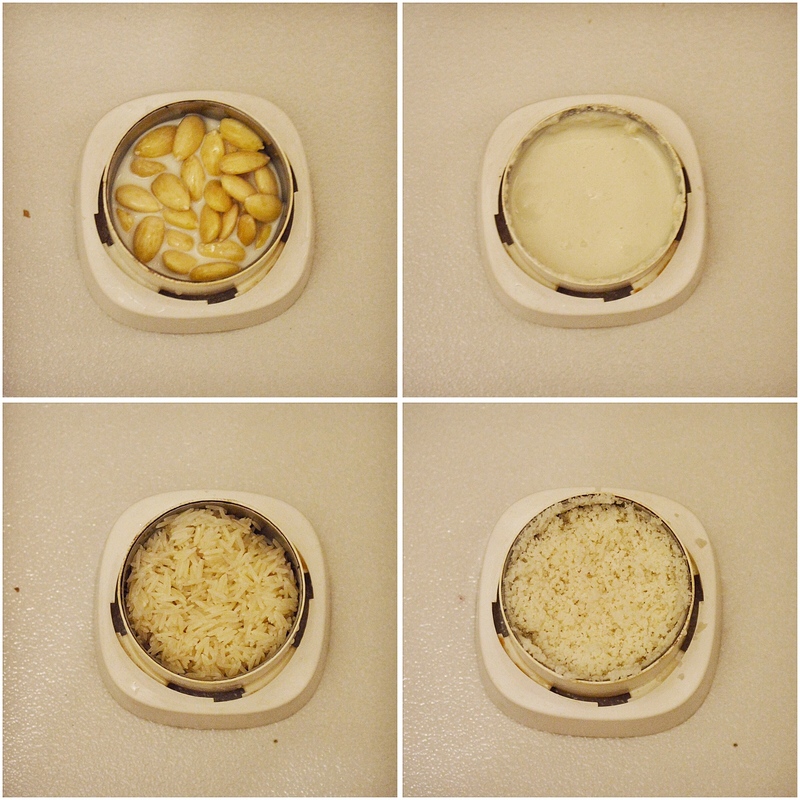 Grind the almonds to make a smooth paste. Add 1/4 cup of milk while grinding or after it. Boil 1 litre milk. Add in the rice. 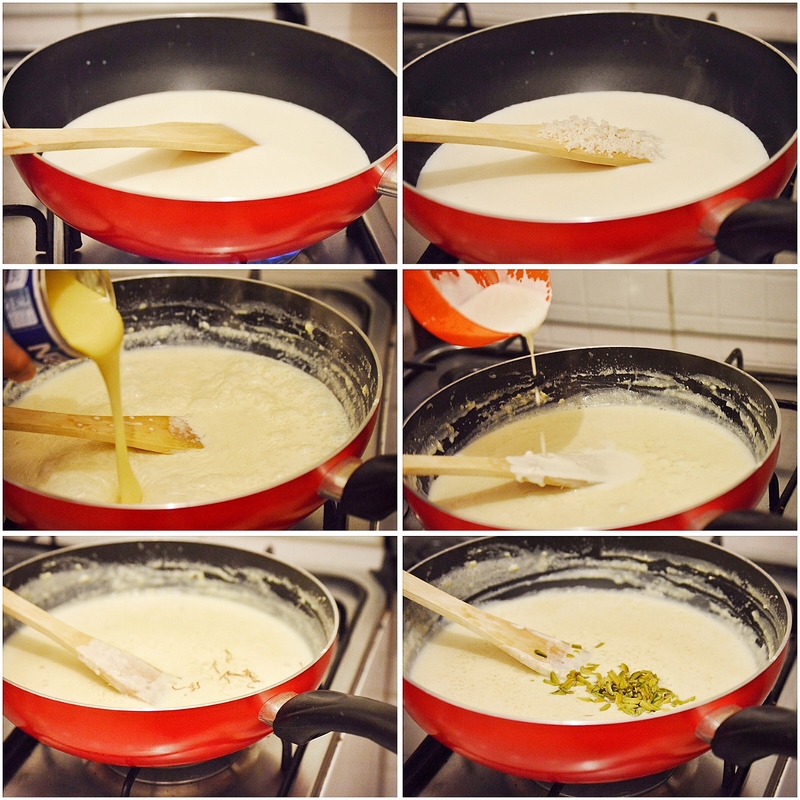 Cook the rice in milk for about half an hour or more, stirring regularly. By this time, the milk will have reduced and thickened. Once the rice is cooked, pour in a tin of sweetened condensed milk. Add in the almond paste. Mix well. Add in the saffron. Let it simmer for 5 minutes. If the kheer is very thick for you, pour the remaining 1/2 cup of milk. Finally add in the blanched pistachios. 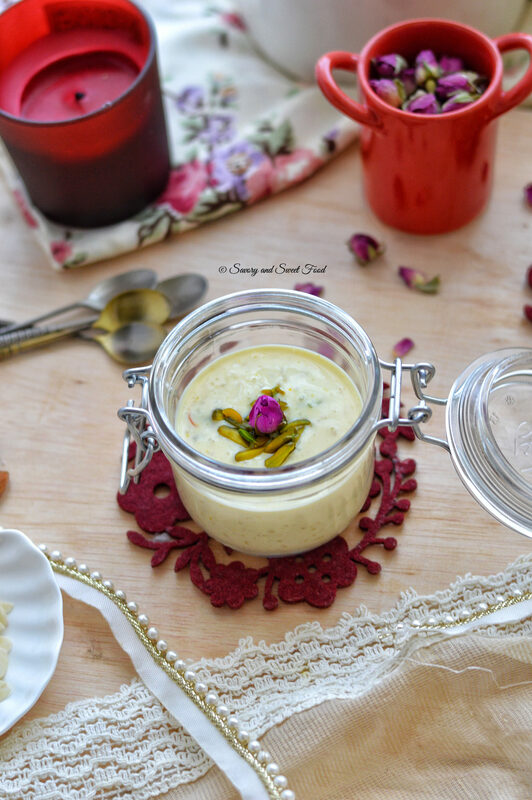 Almond and Rice Kheer is an Indian pudding made with almonds and rice as the base ingredients which is cooked in milk and sweetened condensed milk. Boil 1 litre milk. Add in the rice. cook the rice in milk for about half an hour or more, stirring regularly. By this time, the milk will have reduced. Thanks a lot Shinaz! Hope you like it. Wow!! I too like payasams.. i got one more payasam to try..yumm..
Then please try this. You will like it, in shaa Allah. Oh yeah, I’ve updated the recipe. You have to use basmati rice. Thanks! No words to say!You are simply awesome!MashaAllah! Thanks a bunch Shazia! Just realized that you are blogger too. Just checked few of your recipes. Its really good. Bookmarked some. Thank you very much Rafeeda! I love anything with almonds too.